Last weekend I attended a blogging conference – a large one, 700 strong – for parenting and lifestyle bloggers. My other blog sits nicely among these groups, though it’s probably more lifestyle in content. It was my third time in attendance, and if I’m honest I’m not entirely sure what I gain from them anymore. I am not particularly interested in brands (although, in the not so distant future I might be for another blog I write ) and I can get a little nonplussed with social media from time to time (although, I do have all the necessary accounts on Twitter, Facebook, Instagram…). Still, it was very good, and the writing workshops I attended were great, delivered by talented, published female authors. I loved listening to their varying approaches, whether you plan at great length (one of the author’s plans stretched to 30,0oo words) , shoot from the hip, or sit somewhere in between. And there were some great tips on self publication. Reviewing the first paragraph above, I think I’m being a tad negative in light of what actually happened. In the aftermath, and throughout this week, I have felt washed out and teary. These events can be very overwhelming, so I’m a little over wrought and fuzzy headed right now. I need to get over the weekend hump and find my feet again. To rebalance, and see things in a clearer hue. 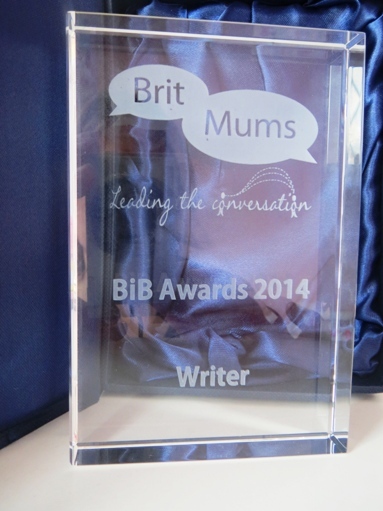 Well I am utterly delighted (amid feeling flat) to inform you that my blog, the other one, Older Mum in a Muddle, won The Best Writer Award 2014 in the Britmums Brilliance in Blogging Awards (BiBs). I certainly wasn’t expecting it, and maybe that’s why the first two words of my acceptance speech were s**t and s**t.
It’s certainly a moment I will remember although I can’t actually remember much of it. There are certain things I do recall. Tightly squeezing the hands of my two closest blogging friends as the winner of my category was announced. (Afterwards, they said I was shaking). Saying s**t. The celebratory curry and glasses of white wine. Relishing the moment back in the hotel bedroom watching fireworks from a military event fizz -bang-wheeee from the opened window. And the following day, I read this post about my hands at the conference Bloggers Keynote. It hasn’t sunk in yet. But I can say with confidence that my other blog has peaked this year, and the award has been a wonderful affirmation and confidence boost. There’s naught wrong with raising your profile as a writer eh? I have to admit to really wanting the award the minute I found I was in the final six and working very hard over the course of May to conjure up posts, making them my very best writing. And I think my voice has improved because of this. 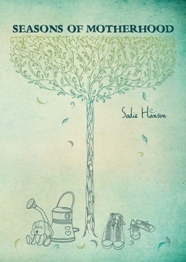 The finalists were judged by LBA Literary Agency, which makes the award that little bit more special for me. I don’t expect anything to come of it, but as I’ve said, the kudos is good when it comes to sticking my head above the self-marketing parapet. Brands and social media aside, what pulls me back to this conference time and time again are the very real friendships I have made over the last few years. Through blogging, and through all avenues of social media. It’s a wonderful forum to physically connect after a year of conversation online, and a great way to widen your social circle, discovering new blogs and fresh writing. And it’s empowering to share, enjoy and soak up the festival atmosphere among a group of very creative women (there were a few men scattered here and there but it was very estrogen-heavy). For two days I was in a bubble of smiles and hugs and inspiration. And cake. This alone is worth the price of the ticket. But next year will probably be the final hurrah. It’s time to listen carefully to my intuition, to step back and reevaluate. It’s time to blog less and focus on the novel, and short stories. It’s time to submit my stories into magazines and competitions. And it’s time to start attending more literary festivals instead. I have a new idea for another booklet like the one I published earlier this year, and I’m having tentative thoughts about a writing MA in 2015 (but the cost… dream on). 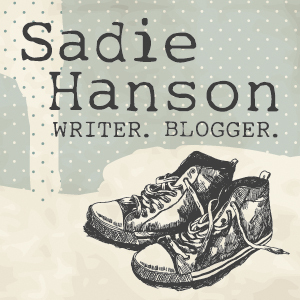 So, I am taking a complete blogging break over the summer to concentrate on the big projects. I will be back in September. Until then, and unless I write the occasional review or cheeky line(s) of prose, enjoy the sunshine and long laid back days. PS: I have not forgotten about your lovely book, life as just been incredibly busy. A review will come.